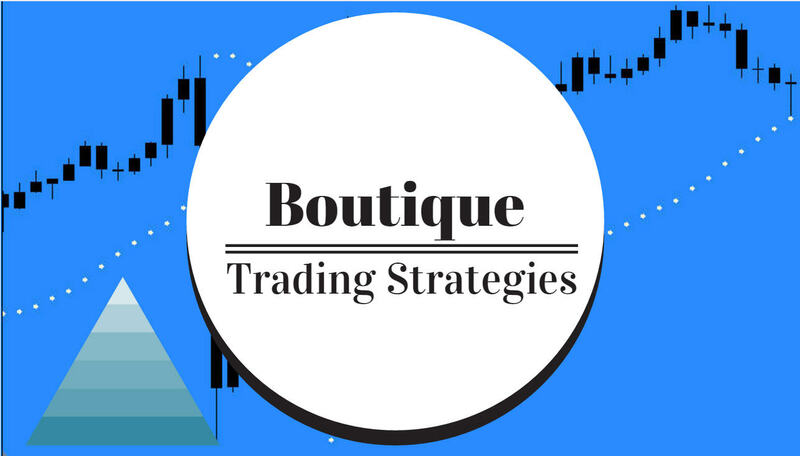 boutique trading strategies: Why Do You Have Such A Bad Trading Attitude? The most important aspect of trading is the attitude of the trader. Should the trader be negative, there will be problems, trades will not go well. We must observe and manage our attitude continually. These authors share some excellent ideas for using attitude to succeed. Attitude is everything. Ask any motivational speaker or “life coach” and I am sure they will confirm that. I would say to ask a paid trader, but in my experience, many of them don’t understand the significance of attitude. I spent nearly twenty years getting to know and understand traders, and most of them genuinely believe that they get the majority of calls right and that this is due to some ill-defined innate ability to make great decisions. In reality, however, a large part of their success is due to an ability to shrug off and forget losing trades and approach each opportunity with fresh enthusiasm. I doubt that many of them get a greater percentage of calls right over their career than do most day traders who pay, rather than get paid, to trade. What separates them is their approach to each trade. What is it that helps the market wizards maintain focus at these critical times in their trades? It is an unmitigated commitment to focus on their rules. These rules, along with other critical cogs in their trading machinery, are followed religiously. They are passionate first about doing what it takes to be consistently successful. They define success in the markets as a function of percentages over an extended period, not by how much money is made in any one trade. They develop and nurture a powerful desire to follow the successful protocol for getting the results that they want. When you want something with an intense desire, the true nature of your potential is realized through the fire in your passion. It is just a matter of finding and living the passion. Your attitude toward trading makes a huge difference in your success. Here's how to develop the right psychology to make the most money as a trader, says Marc Principato. Today we're talking about the always important question of trade psychology with our guest, Mark Principato. Mark, this is an area that I know you also view as very important. Tell us your thoughts. Trader psychology. They say in this game it's 90% psychology, 10% everything else and in my experience, I've never found anything truer than something like that. I mean it's a tough game, especially for short-term traders. Psychology is most important because decisions have to be made quickly and on very limited information. 1. Document everything – this includes plans on how you are going to enter and exit a trade. For instance, use the rules you have been taught in your Forex trading training and only enter and exit trades that fit within those rules. Before entering, go through your checklist and tick off the rules one by one. If one rule is not apparent, do not trade. 2. Find a comfort spot – once you are frequently playing good and winning trades you automatically get a feeling of comfort. Next time you find an entry point the same feeling will come back and you can sleep comfortably knowing you have followed your rules. Even if the trade is not successful, you have not made a mistake. 3. Find a king strategy – there is no point going over 10 different strategies in your Forex trading training. Find one that suits your personality and only use that for a while or until you are making good returns from it. If you try and play 5 trades at the same time, your knowledge will sink as it is a lot more spread out. It’s one thing to hear the word “attitude”, people talk about it every day, but what does it really mean and how does it apply to your trading? A trader’s attitude refers to both his or her mental state of mind and the way he or she conducts their trading activities. It may sound slightly boring or even repetitive to hear someone say you need a “positive mental attitude”, but your attitude is probably one of the most important factors that determine your trading results (both profits and losses). Trading in the financial markets is surrounded by a certain amount of mystique because there is no single formula for trading successfully. Think of the markets as being like the ocean and the trader as a surfer. Surfing requires talent, balance, patience, proper equipment and being mindful of your surroundings. Would you go into water that had dangerous rip tides or was shark infested? Hopefully not. The attitude to trading in the markets is no different than the attitude required for surfing. By blending good analysis with effective implementation, your success rate will improve dramatically and, like many skill sets, good trading comes from a combination of talent and hard work. Here are the four legs of the stool that you can build into a strategy to serve you well in all markets. Before you start to trade, recognize the value of proper preparation. The first step is to align your personal goals and temperament with the instruments and markets that you can comfortably relate to. For example, if you know something about retailing, then look to trade retail stocks rather than oil futures, about which you may know nothing. Begin by assessing the following three components. The time frame indicates the type of trading that is appropriate for your temperament. Trading off a five-minute chart suggests that you are more comfortable being in a position without the exposure to overnight risk. On the other hand, choosing weekly charts indicates a comfort with overnight risk and a willingness to see some days go contrary to your position. Eleanor Roosevelt said 10 little words a very long time ago that can still have a big impact in people’s lives, and if it can impact other people, it can impact your life too. Those 10 words add up to a quote that reads, “No one can make you feel inferior without your consent.” those 10 little words have impacted me in a special way and since I read those words I have been a better man on more occasions than I would have been without them. I trust this post will have the same or even a better impact on your life, so I thank you for reading and trust you will thank me once you read this post. Before I begin, I want you to know that there are only 2 things that all successful traders have in common, it is important to note that they all have very different trading styles but these two factors are the same for them all. The first is their attitude and the second is their losses. That means If you have ever traded the financial markets in the past. or are trading them now, you already have 50% of what it takes to be a winner in trading the markets (the losses). Right now it is time to do the hardest of all things, not only in trading but in life too and that is to create a good habit, which of course contradicts most of the other daily habits you have formed over the years. Make no mistake, this will be very hard to do but if you have the determination and add just enough action daily into your life it will be a piece of cake in no time and I promise you, it will definitely be worth it. As I mention above attitude makes a BIG difference and it is probably the most important attribute all traders must learn if they want to succeed in the markets. A trader with a positive attitude is more likely to make money in the markets than one with a negative attitude. A trader with a negative attitude is more likely to give up hope and abandon a successful trading system and trade based on his emotions. He is more likely to focus on bad trades rather than good ones. He is more likely to think he is always right, rather than learn from the past and from others. He is more likely to lose money, given the same recommendations than someone who has a positive attitude. He is more likely to be mad or upset or stressed out at the end of the day and more likely to bring that back the next morning. On the other hand, the trader with an optimistic attitude realizes that not all trades are winners, that over the long run, with patience and discipline, he will make money. He sets aside his pride and lets himself learn valuable trading and investing lessons. He understands that everyone makes mistakes, including himself and realizes that if you learn from a mistake, it always is a good thing. He is more likely to make money, given the same recommendations than someone who has a negative attitude. He is more likely to be happy at the end of each day, and more likely to start trading with a positive attitude the next day. These cycles continue on and on and on … That is why most successful people are optimists and most unsuccessful people are pessimists. Traders and investors must learn the value of this attribute and always look on the bright side of life! Thus the 1st way is, be and become an optimist but before we continue here is a disclaimer: If you want to live the life of your dreams, it starts with a decision. You have to decide that what you desire to achieve is greater than your desire to stay where you are. When you make a decision, it will create discomfort. No matter how discomforting it may feel you must remain dedicated to your choice. After all, if you aren’t at least a little afraid of your dreams, you’re not dreaming big enough. 1. Think like a winner, act like a winner, be a winner. Successful futures traders have a positive mental attitude and maintain that positive attitude every single day they trade. It takes confidence in your abilities, confidence in your decisions, confidence in your charts and confidence in your system to succeed as a futures trader. Confidence hinges on your mental attitude. "Your actions affect your attitude and your attitude drives your actions. It can indeed be powerful to get your actions and your attitude working consistently in the same direction." I find these words from the Daily Motivator* of particular import to my life as a futures trader. More than anything else, your daily attitude affects your ability to perform successfully as a futures trader. If you stay positively focused, you will be able to assess your position with confidence and pull the trigger at the precise moment to ensure maximum profitability. If you allow negativity or self-doubt to eat away at your confidence, you will fail. Once negative thoughts creep into your thinking patterns, you start to second-guess your abilities, your decisions, and your system. Pretty soon, you're making bad trades, you can't pull the trigger and things start crumbling around you. Without a positive attitude, you cannot succeed as a futures trader. You will crash and burn before you complete the first lap. Everyone has the occasional bad day. But whether it's a trading loss or a crisis in your personal life, you can't let feelings of negativity engulf you. You have to "shake it off," "get back on the horse, "get back in the game." Hackneyed though the sayings may be, they carry a large truth. The only way to succeed is to refuse to allow yourself to be beaten down. You have to maintain faith in yourself and confidence in your ability to succeed. You have to stay positive. Successful futures traders succeed because they have a positive mental attitude and believe in themselves and their system. It's not the other way around. We're not happy because we succeed. We succeed because we're happy. A positive attitude gets positive results. Because trading is generally considered riskier and requires more skills, returns for successful traders also tend to be higher than it is for investors. For a better understanding of what it takes to be a successful trader, we spoke to three well-known traders in Singapore who have been successful in their respective field. 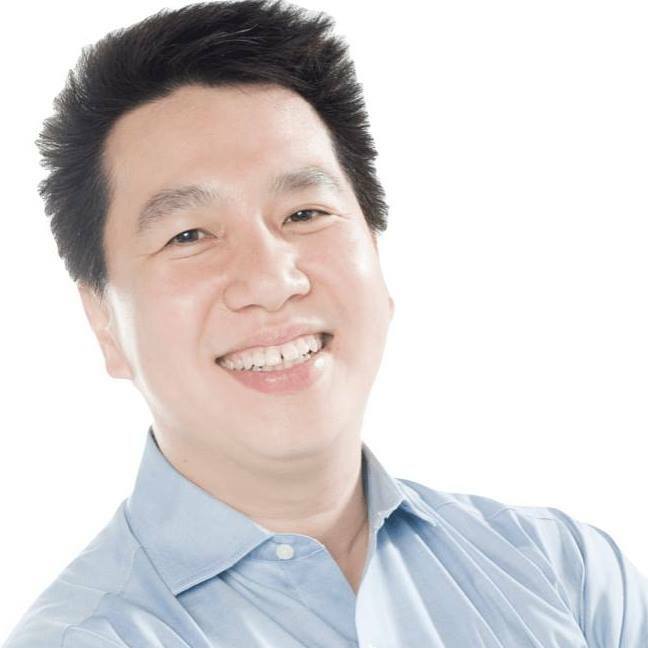 Collin Seow is the founder of Collinseow.com / TradersGPS. He is a qualified Chartered Portfolio Manager (CPM) holding a Certified Financial Technician (CFTe) qualification and is a member of MENSA Singapore. Losses are part and parcel of trading. However, losses are also what shake people’s confidence in their strategies. This is the main reason why new traders constantly jump from one strategy to another. Each time they meet a few losses on a strategy, they will switch to another. To become a profitable trader, we must become masters of our strategy, psychology, and risk. To become masters, we need to put in the time and effort, to gain the experience and knowledge in our strategy.